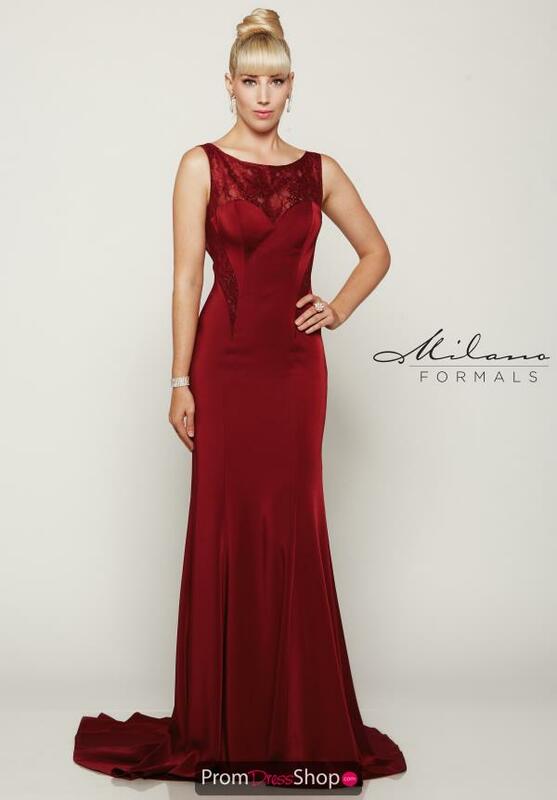 Gorgeous Milano Formals long dress style E2042 is a perfect choice to your next evening gala. Showcases a high neckline and lovely sweep train. Lovely lace adorns the neckline and flows down onto the sides while emphasizing an open back. Satin silhouette is a fitted style that while captivate everyone's attention. Search for more Milano Formals at PromDressShop.com.